For organizations of all sizes and industries, the business landscape has become highly data-driven. The Economist claims that data has supplanted oil as “the world’s most valuable resource.” Unlike oil, of course, data is by no means in short supply—IBM estimates that the world creates 2.5 billion gigabytes of information every day. As we continue to generate and consume data at an unbounded pace, finding ways to process and analyze that data will become increasingly important. According to market intelligence firm IDC, the big data and analytics market will surge from $130 billion in 2016 to more than $203 billion in 2020 as companies look to utilize data to gain a competitive edge, grow their business, and increase operational efficiencies. 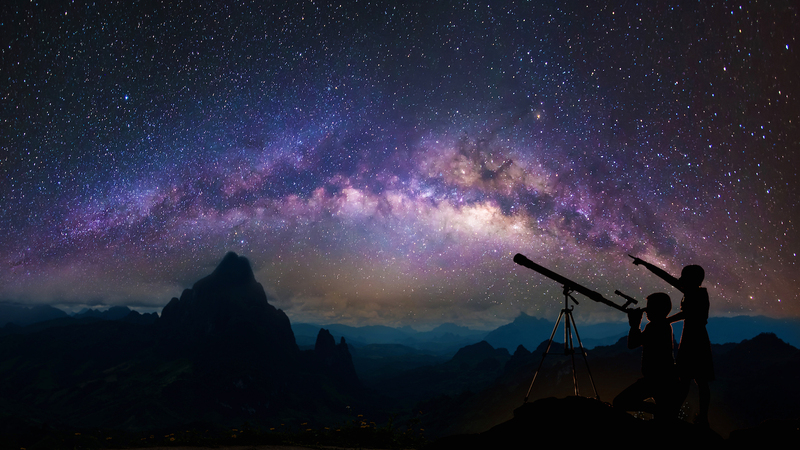 So as companies turn their focus towards how to extract the most out of all the data they have, we offer up three ways to help you discover better analytical insights. Unfortunately, most reporting and dashboarding systems work off of some limited set of data. For example, sales teams view their CRM data, marketing teams see data from their marketing automation system, and operations and logistics teams get their data from the supply chain system. Getting a consolidated view of all data typically means building a data warehouse, which is a long process which offers little agility when adding new sources. When you need to get insights sooner rather than later, a faster way to incorporate more data is to utilize an analytics system which can not only connect to your data sources, but also gives you the capability to harmonize and unify the data as needed, and also scale and deliver high performance as data volume grows. Take these steps to help you prepare the data for analysis and ensure you can effectively discover insights from all the data you have. Cleanse data. Data sets often have missing, inconsistent, or incorrect values that can distort your final analyses. In order to get the best insights possible, you need to identify and correct the records that are corrupt and inaccurate. As an example, dates should exist in a single, consistent format. Unify data. When incorporating data from multiple tables and multiple sources, data must be properly joined together. This capability is vital especially when you might be incorporating new data sources into your analysis over time, and you do not want anything to slow down discovery of new insights. External data. Look for opportunities to incorporate new data from external sources into your analysis. This can almost always offer you a fresh perspective and deeper insights compared to just your proprietary data alone. For example, if you are analyzing customer data, you may already have some profile information, behavioral data from their activity, and transactional data from purchases – you can enrich your data with additional demographic data from third parties to build a complete picture of financial standing. Enrich data. Another way to enrich your data is to calculate new columns and create new features. One simple example is to analyze dates as day of the week, week, month, quarter, and year. Another example is to create a new field with a category or a score for each record based on other data values. Scale for performance. Since we want to analyze as much data as possible, you never want to be limited by the volume of data or slowed down during your analysis. Ensure your analytics system can scale to volume of data, the number of users, and the level of performance your team needs to discover insights. The second tip is to utilize tools that automate discovery of insights. This is a capability that automatically presents important findings in the data, surfaces hidden trends, correlations, and anomalies that not readily apparent, and simply answers business questions without manual data exploration. The end result is that insights are discovered faster, data analysis is more complete, and you avoid the many issues experienced with data analysis performed manually. Maybe you’ve never thought of it this way before, but typical analysis tools including spreadsheets, visualization tools, and business intelligence software reinforce a manual process for discovery. At best, visualization tools automatically generate a visualization from the data you’ve selected. But it’s still up to you to choose which columns address your business problem, interpret what the visualization is telling you, draw a conclusion, and then pick some different columns if no important insight is found – this can go on for quite a while if you do not know specifically what data is interesting and you are doing free form discovery. There are different ways that systems such as Tellius can automatically discover and present insights. The first is in answering specific questions that you have, which often relates to why performance is the way it is, and typically relies on complex analysis to answer. 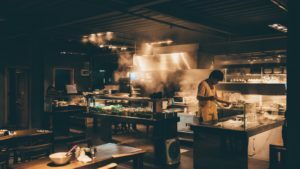 For example, let’s say you are in a function where customer loyalty and retention are important, and you want to figure out why customer churn is increasing and what you should do about it. This could be an exercise where you have data analysts examine the customer data and possibly create machine learning models if you are sophisticated enough, and after some time (hopefully not too long), not only understand what’s driving customer churn in your interested segments, but also identify at-risk customers who need personal attention before they also churn. With automated discovery of insights powered by machine learning running behind the scenes, you can find these customer segments in a fraction of the time, much easier without coding, and be sure that you are looking at all the data to identify the key drivers of churn. Another way that automated discoveries work is when there are certain metrics you are interested in, and insights are surfaced related to these metrics without a specific question being asked. Let’s say you are interested in sales revenue, the system examines all the data through the perspective of revenue, and highlight trends, patterns, and important findings related to sales. For example, it could tell you that sales of a certain product in a particular region has increased the most, identify the sales people who have sold the least in specific departments, or highlight the accessories that sell the best for particular products. Automated discovery of insights gives you a much deeper understanding of your data and helps analyze all of the data you have much faster than your analysts could without such tools. Another upside is that because this capability is easy to use, it opens up the discovery process to business users in addition to analysts. This accelerates analytic understanding and expands the data-driven culture within your organization. The third tip is to empower more users with the benefits of machine learning and predictive analytics. This is more than employing data scientists who collaborate with the business to build predictive models. This is about giving more of the analytical capabilities to business users and novice data scientists for them to participate in the discovery process and therefore reduce the reliance on data scientists (if you have them at all). One way to accomplish this was detailed earlier with automated discovery of insights. Automated discovery delivers the deepest, most complete insights when machine learning algorithms are employed. For business users, the best part is that machine learning is utilized under the hood, so no coding is involved. Insights that typically require complex analysis are delivered with far less effort. Another way to spread adoption of advanced analysis is with automated machine learning. Here, data professionals can build, tune, and evaluate models via point-and-click configuration. This allows even novice data scientists and those with conceptual knowledge of machine learning but without a coding background to participate with model building. A third way to get better analytical insights with machine learning is to allow business users to visualize and explore predictive insights though interactive reports and dashboards. The best way to accomplish is with an analytics platform that marries business intelligence and predictive modeling into one, such as Tellius. The key is giving more users the ability to uncover insights on their own and ultimately creating a more collaborative environment that fosters not only more people asking questions of their data, but also getting answers as well. Business is a data game. Companies who can quickly extract insights from all their data gain a competitive edge. We’ve outlined ways to help you take a leap forward in how you discover insights from all your data. Much of this involves applying automation to accelerate data preparation, analysis, and machine learning. The Tellius intelligent analytics platform makes it incredibly intuitive for users to ask questions of their data and uncover insights faster than ever. By combining search-driven analytics with an intelligence layer that automatically discovers insights with machine learning, we help data-driven organizations improve decision making in the evolving business landscape. 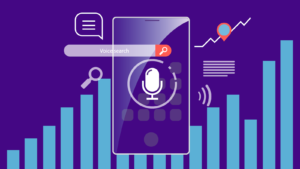 Explore how experiences we know and love from search engines and voice assistants make business intelligence easier and more accessible for everyone in the data-driven enterprise. See what insights we showcased at the Gartner Data & Analytics Summit with the loneliness and happiness data set from the BI Bake-off. 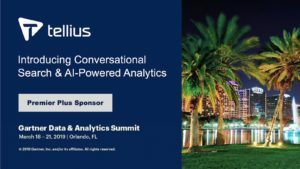 Company will present a customer panel, participate in a multi-vendor analytics product showdown, and host a best practices roundtable on next-generation analytics at the Summit.